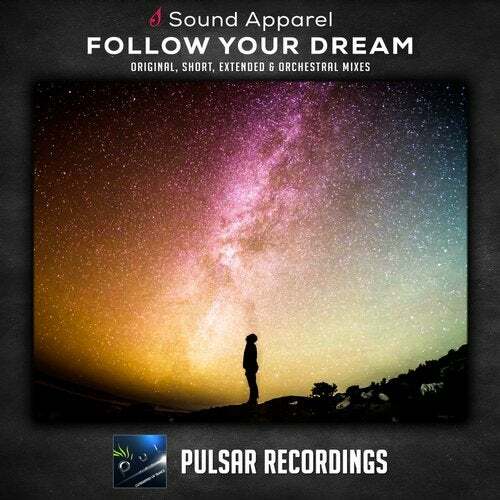 Sound Apparel is back on Pulsar Recordings with his newest single called 'Follow Your Dream'. Judging just from the title, you can already expect an inspiring release. Let's hit play and find out! The track is offered in four different versions, starting from original, short, extended and finally orchestral mix. The first three offer the Sound Apparel treatment that you're already used to, melancholic synths and wonderful melodies that have come straight out of a fairy tale. The synths this time reminded us of those used in one of his earlier iconic works 'The End', giving this track that sad feeling that is very well mixed with other elements of pure euphoria; bringing listeners to an emotional rollercoaster ride.